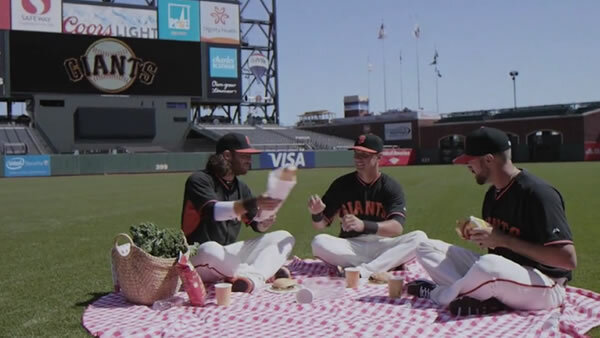 SAN FRANCISCO (KGO) -- The San Francisco Giants are paying tribute to the popular ABC sitcom "Full House" with a remake of the show's theme song. Instead of Uncle Jesse, Uncle Joey and the rest of the Tanner family, we saw Brandon Crawford, Hunter Pence, Joe Panik and manager Bruce Bochy. The team will celebrate "Full House" with a "Full Clubhouse Night" on September 30 at AT&T Park. Fans will receive a snow globe that features the Painted Ladies homes that appear in the opening credits.